At Orca, we pride ourselves on thinking outside the box. We like to think of ourselves as innovators since we’re former members of the media or longtime PR pros who know what producers and bookers are looking for. What that means is that we are experts at generating our own media opportunities vs. hoping the media has a fit for our clients in a spread or segment they are already working on. Case in point: we decided to take a handful of Orca clients and pitch out a ‘How To Take Your Tailgating Party To The Next Level’ idea because it’s that time of year again: football has started and millions of people will be tailgating at college and pro football games. The Broadcast on KTXD-TV (Dallas, Market #5) aired this tailgate segment on Friday, August 29. Hosted by the wonderfully talented Suzie Brown, the popular morning show featured GrillGrate, Smart Touch Wine Opener by Viatek, Wine Greeting, BeerNstein and Wine Traveler by The Product Farm, Gutsy Chewy, Phlat Ball by Goliath Games, and the Broomy by Viatek. 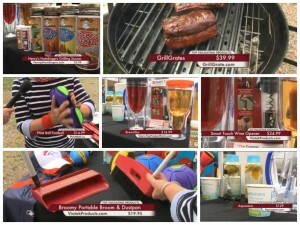 CBS 13 KMAX-TV “Good Day” (Sacramento, market #20) aired this roundup of cool tailgating gear on Monday, September 1. During the “Check This Out” segment, lifestyle reporter Courtney Dempsey looked at some products that will take your tailgate party to the next level. Orca clients Product Farm (BeerNStein), GrillGrate, Viatek (Smart Touch Wine Opener) and Hood To Go were featured in the first segment at 8 AM. Viatek Broomy, Phlat Ball and Henry’s Humdingers were featured in the second segment at 9 AM. 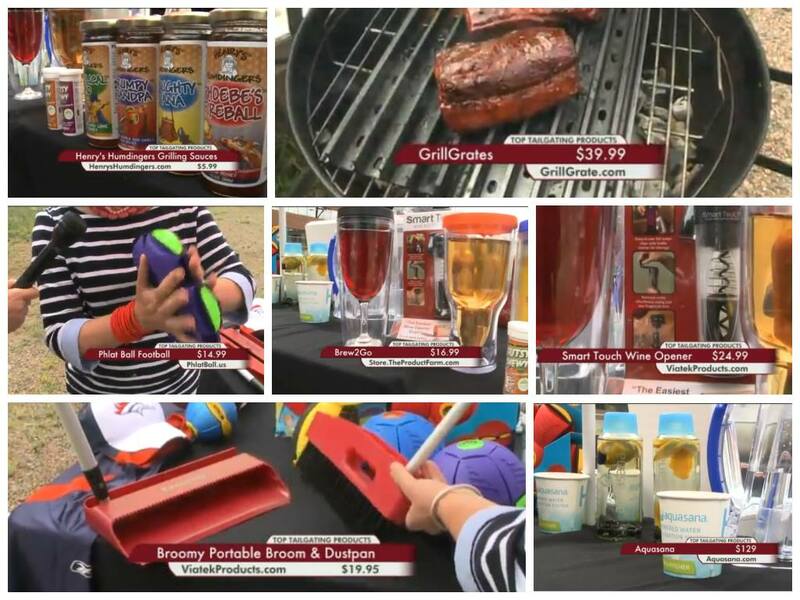 CBS 5 KENS-TV (San Antonio, Market #37) Good Day morning show previewed the 2014 tailgating season and featuredGrillGrate, Henry’s Humdingers, Phlat Ball from Goliath Games, Brew2Go, Smart Touch Wine Opener from Viatek and Broomy from Viatek. The segment aired Monday, August 25. It’s all about Football right now. Featured in another Tailgating Gear segment, this time in Atlanta on CBS’s Better Mornings Atlanta (Market #9) are BeerN’Stein and Wine2Go, Henry’s Humdingers, Grill Grates, Daisy Cakes, Phlat Ball, and Ciao Baby. ABC 13 KHGI-TV (Lincoln, Nebraska, market #106) “Good Morning Nebraska” hosted a fun tailgating segment August 21 and featured the staff tossing around a Phlat Ball. Fox 31 KDVR-TV (Denver, Market #18) popular morning show “Colorado’s Best” aired this tailgate segment on Thursday, August 28, presenting must- haves to create the perfect tailgating party. “Real Milwaukee” on Fox 6 WITI-TV (Milwaukee, Market #35) aired this tailgate segment on Thursday, September 4, and demonstrated products that will help you spice up your tailgate party. The first Texas A&M University home football game at the newly remodled Kyle Field is on Saturday. On Friday, September 5th, the best new tailgate items were revealed on KBTX-TV (Bryan, TX) including the Smart Touch Wine Opener, Wine Traveler and BeerNStein, O-Venture key rings, Phlat Ball and Broomy! Professional and collegiate football games are well underway on any given Saturday. Tailgating is an automatic pastime. Featured on FOX GoodDay Atlanta (Market #9) were Ciao Baby Portable High Chair, BeerNStein, Wine2Go, Grill Grates, Henry’s Humdingers, Phalt Ball, TwoAlity Totes and Wristlets and Daisy Cakes. Football season is in full swing. You can’t have football without a good tailgate. NBC 4 WOAI-TV (San Antonio, market #37) morning show “San Antonio Living” hosted Chef Kirk Doyle of Cover 3, who cooked up some yummy treats on the grill. And our very own Kim Barnes showed off the latest gadgets and accessories to impress at your next tailgate party, including GrillGrate, Phlat Ball, Smart Touch Wine Opener, Brew2Go, Aquasana, Broomy and Gutsy Chewy. This segment aired on Thursday, September 11. Football fans everywhere know that up till now, not much else has mattered in the sports world. In some parts of the country, football is everything. The SEC is no exception. With the first home game approaching for many schools and professional teams, fans everywhere are prepping for the tailgating parties. Featured on WCFT/WBMA- TV, “Talk of Alabama” (Birmingham, Market #39) are the Top Tailgating Must-Haves. The Product Farm’s BeerNStein and Wine2Go, Henry Humdinger’s, Grill Grates, Phlat ball and TwoAlity were on the list.